The Trail Running Festival 2019 is in the works. Keep checking back for updates. Our TRail Running Festival | 2019 is in the Works! Check back for updates and info. Below is info from the 2018 Run. 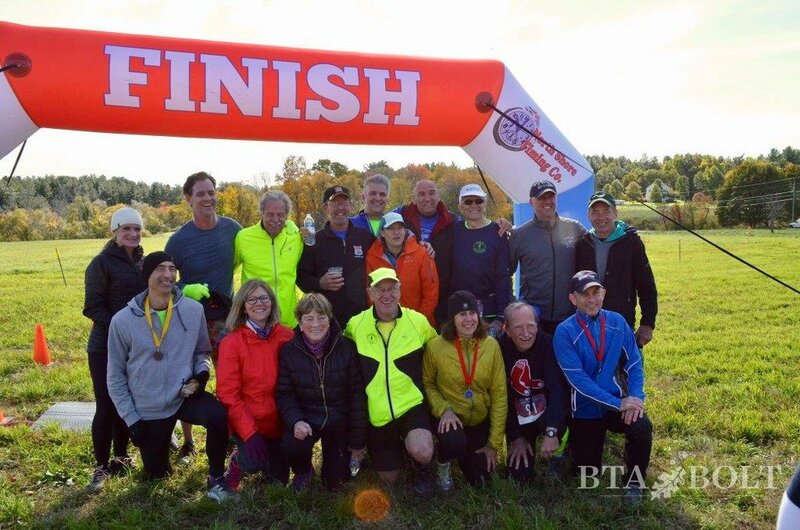 Thank you 'Boxford Trail Running Festival' race participants, volunteers and sponsors. BTA/BOLT, Inc.’s second annual Boxford Trail Running Festival, held on October 21st in West Boxford, was very well attended and attracted families and runners of all ages. The events included a 1K kid’s fun run, 5K walk, 5K run, 10K run and 20K run followed by a cookout, awards ceremony, DJ and free raffle. We would like to thank all those who sponsored, volunteered and participated in the event. All the proceeds help support our mission to conserve and protect open space, as well as maintain over 100 miles of trails which are open to the public. For detailed race results, visit: www.coolrunning.com.